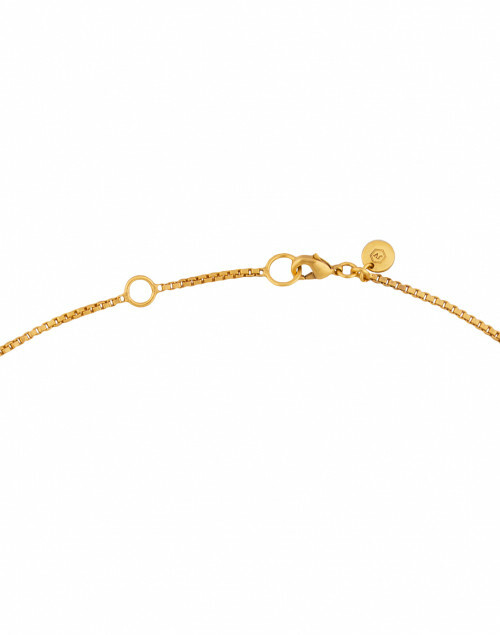 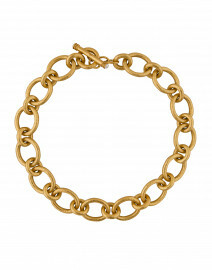 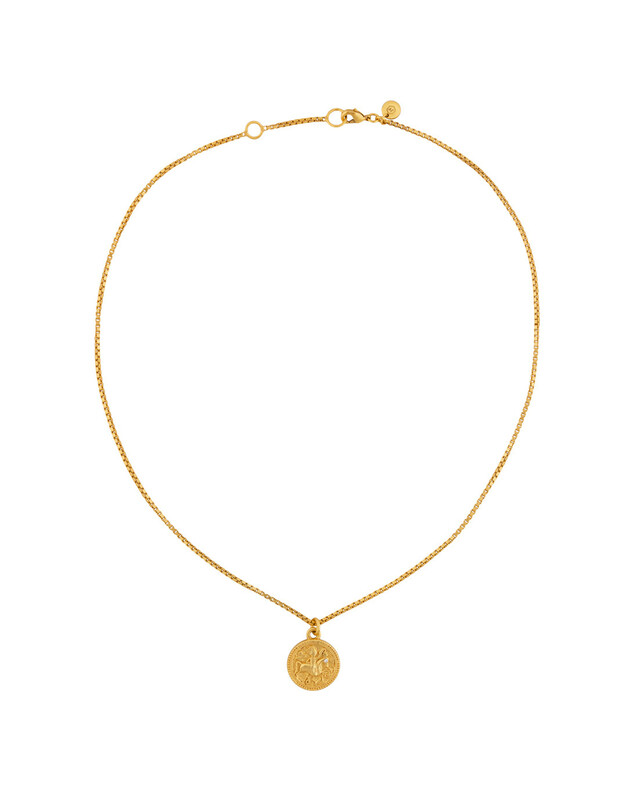 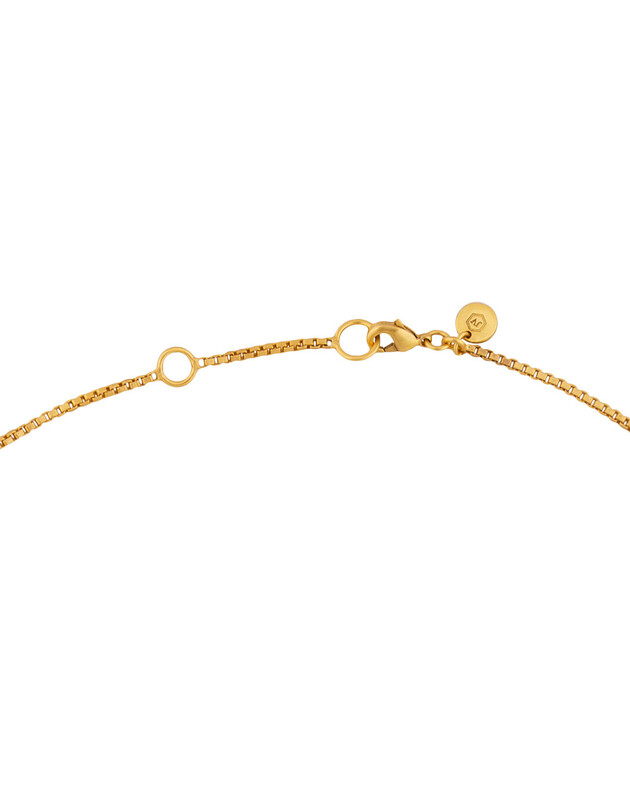 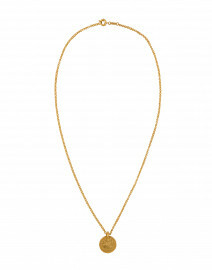 Julie Vos's 24 karat gold-plated brass Coin Charm necklace exudes simple elegance. 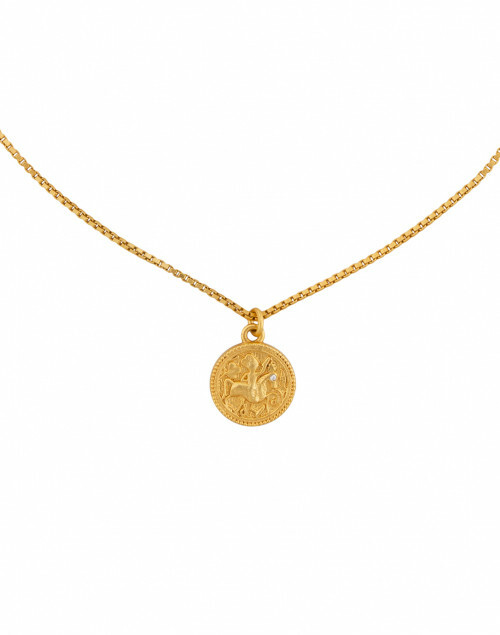 The classic coin features a knight on horseback with a tiny zircon accent on a gilded box chain. 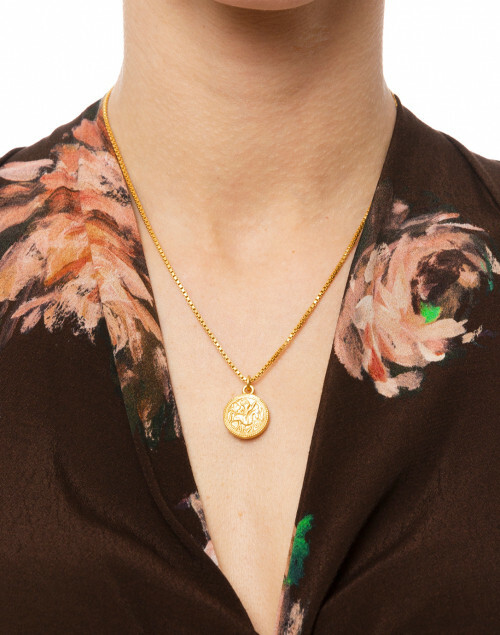 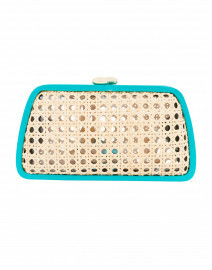 Wear it with V-neck dress to complement the neckline.